For over 38 years Tim Atwood has played in the spotlight’s fringe, backing country music elites on the most venerable stage in country music history—the Grand Ole Opry. Now Tim Atwood takes a step into center stage, as he prepares to release his 3rd solo album Livin’ The Dream on Friday, July 27th, independently. The album is available now for pre-sale, with four instant gratification tracks (“Country Medley,” “I’ll Stand Up & Say So,” “What Have You got Planned Tonight Diana,” & “Count Your Blessings”) available upon purchase. Then, on Saturday, July 28th at 10:00 pm, Tim will officially kick-off the album release celebration by guest hosting Ernest Tubb Record Shop’s “Midnite Jamboree” at the Texas Troubadour Theater, which broadcasts live on-air at 650 AM WSM. Tim will perform several of the new tracks off the album, along with talking about the stories behind the songs to the thousands of listeners who will tune in. With recent appearances on Hallmark Channel’s Home & Family, Fox News, RFD-TV’s Larry’s Country Diner, and a busy tour schedule, audiences understand the long time veteran of the Grand Ole Opry stage is more than a singer—more than a pianist; Tim Atwood is an entertainer and a dynamic country showman. “For thirty-eight years I played piano in the Grand Ole Opry staff band. I got tired of looking at everybody’s backsides, so I decided to change my view. I’ve transitioned from the spotlight’s fringe to center stage. Time for others to look at my backside for a while,” says Atwood. 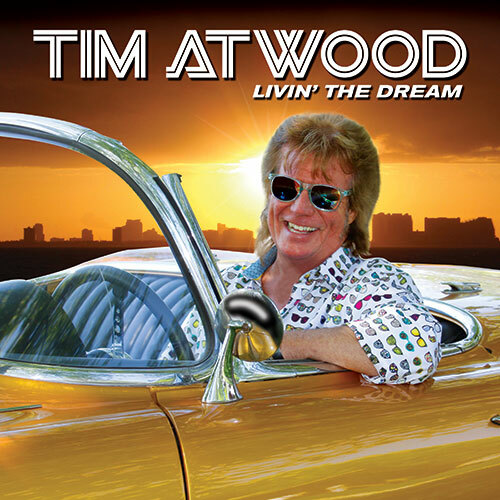 To request a review copy of Livin’ The Dream, please email Scott Sexton at scott@2911.us, or to request an interview with Tim Atwood, please click here.